The new bridge is a favourite with bridge-lovers and engineers alike. 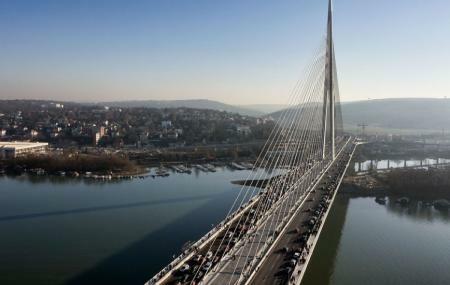 It’s the youngest of the famous bridges that cross Sava River. It is also the largest, grandest and most modern; altogether a fantastic addition to the city’s skyline. You can walk it, and the best time to do so is in the late evening and night, when the bridge is beautifully lit up. It’s one of the most photographed sites in Belgrade. “Okretnicatramvaja” Okretnitsa tramvaja Tram Stations. How popular is Most Na Adi Bridge? People normally club together Topcider Park and Zeleni Venac Market while planning their visit to Most Na Adi Bridge.